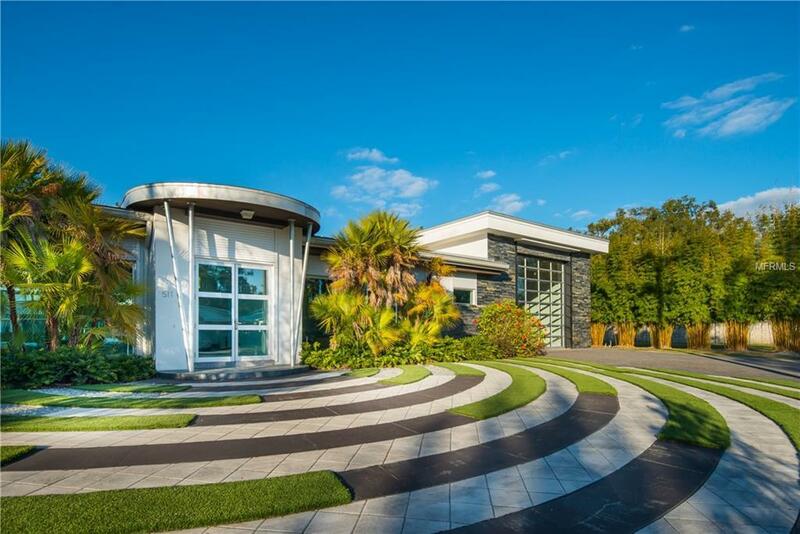 Masterful design and modern luxury are uniquely embodied in this Spectacular Mid-Century Modern Estate. Stylish simplicity, extensive use of glass, and open design forge a connection with nature. Expansive entertaining spaces flow outside to the Grande Courtyard. Commercial grade Chefs Kitchen with three stately islands and solid granite waterfall counters above the polished porcelain glass tile accentuate natural light. Dimmable lighting allows for opulent control of mood and ambiance. Private bedroom suites, all boast sleek en-suite baths, generous closets with elaborate built-ins, wonderful views and private courtyard access. Every detail was carefully selected and quality crafted for efficient and luxurious living. An automatic shade system gifts seclusion at the touch of a button. The Spacious Master Bedroom is the ultimate retreat with spa-style amenities. 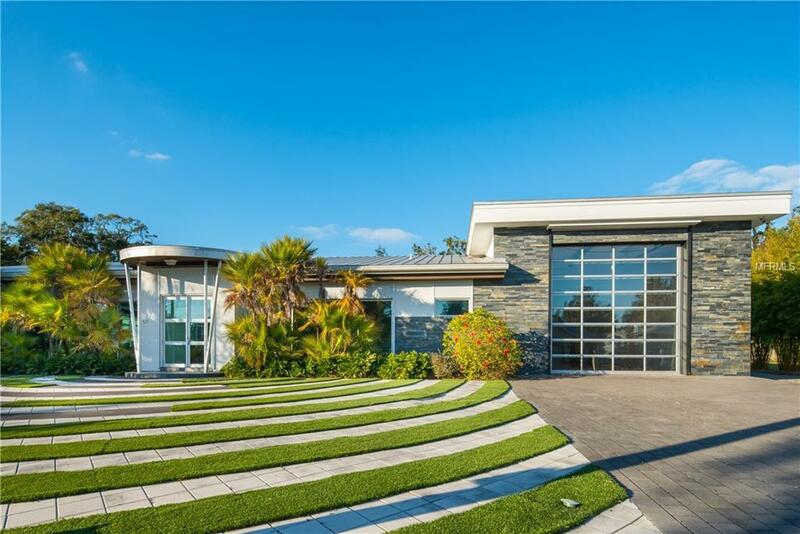 A custom designed 19+ car garage, with 20' ceilings, and ample space for lift installation awaits the exotic and classic car collector or RV enthusiast. This secured automotive palace also features temperature control and abundant lighting. Enjoy refined boutique shopping and fine dining as you stroll Park Avenue from home. Convenient access to Orlandos entertainment venues, theme parks, cultural centers and coastline. 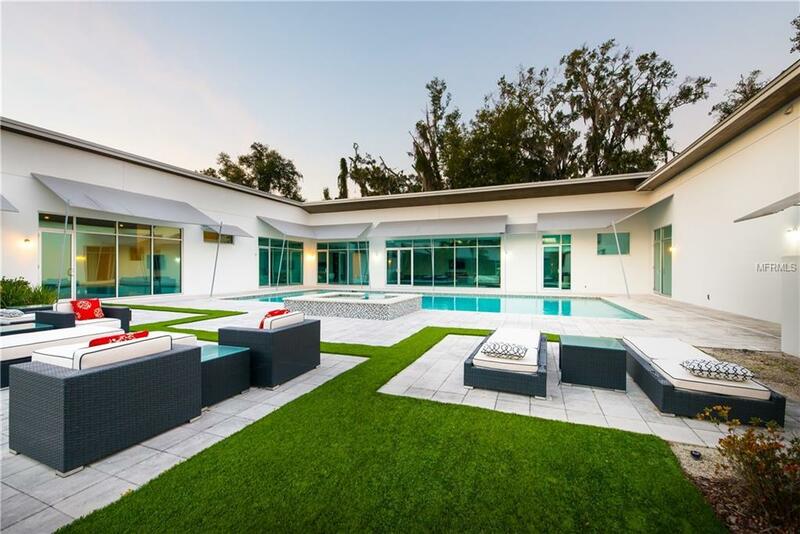 Ask your CPA about the advantages of transitioning to Florida Homestead & schedule your exclusive private tour of this remarkable residence today.